Finding a professor of Stoic philosophy is rare. Finding a professor who has actually published a paper tracing the connection between the Stoics and the Jedi? There is only one on the planet. His name is William O. Stephens and he one of the best known and most respected scholars of Stoicism. 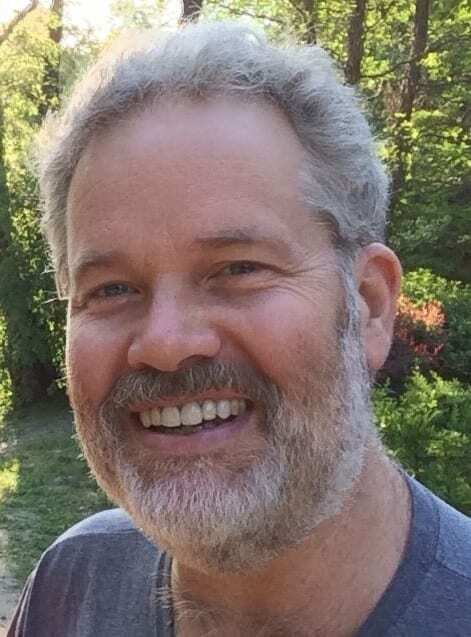 He is the author of Marcus Aurelius: A Guide for the Perplexed and Stoic Ethics: Epictetus and Happiness as Freedom as well as numerous papers including “Stoicism and the Philosophies of the Jedi and the Sith,” which of course we had to ask him about in our interview. Professor Stephens received his Ph.D. in philosophy from the University of Pennsylvania in 1990. In autumn of that year he joined the Arts & Sciences faculty at Creighton University in Omaha, Nebraska, where he is Professor of Philosophy and of Classical & Near Eastern Studies. We were very excited to interview him as we got to ask him about his course “Philosophical Ideas: Wisdom,” how he explains Stoicism to his students, what impresses him most about Marcus Aurelius, his daily stoic routine and much more. And if you want to hear Professor Stephens speak in person, you can see him this fall at Stoicon in Toronto. We read that an early mentor of yours asked you to read Epictetus and that sparked your interest in Stoicism. Can you tell us the story of your introduction to Stoicism? Why do you think Epictetus was the one he chose to start you with? I attended graduate school in philosophy at the University of Pennsylvania in Philadelphia. I came to Penn with an interest in ancient Greek philosophy. I wanted to study with Professor Charles Kahn. I was particularly taken with the Socrates in Plato’s early dialogues because Plato’s Socrates believed that virtue was the most important ingredient of a happy life. But Plato’s dialogues have been written about for centuries and centuries, so I wanted to find something fresh to write my dissertation on. Kahn suggested I read Epictetus because Socrates is Epictetus’ biggest hero in the Discourses, written by Epictetus’ student Arrian. I was immediately enchanted with Epictetus’ direct, forceful style of philosophical teaching. I was hooked on the Stoic slave. Now that you are in a position to introduce Stoicism to students, we are curious where you start and if you have a good, short, working definition you use to pique their interest. If you’re connecting with a freshman and going to explain Stoicism to them, what do you say? I say that the logic of Stoicism is quite straightforward. First, everything in the world can be divided into those things and events that are always, completely, by their very nature, up to you, and those things and events that are NOT always, completely, by their very nature, up to you. Second, it is a fact about human psychology that we are happy when we get what we want and avoid what we dislike, and we are frustrated and unhappy when we don’t get what we desire and instead get what we don’t want. The inference to draw from these two premises is easy to reason out. If we want to guarantee our happiness, then we must limit all our desires to those things that are always, completely, by their very nature, up to us. This is the only way to ensure our happiness. If instead we foolishly want events outside our minds to happen a certain way, or we want to get things beyond our control, then we’re really rolling the dice. Maybe we’ll get what we want, but very often we won’t. And if our desires aren’t satisfied, then we’ll be miserable, frustrated, and unhappy. Stoics have the good sense to work hard to transform their desires so that, with practice over time, they limit their desires to what is up to them. You teach a course called “Philosophical Ideas: Wisdom.” Can you tell us more about the search for wisdom—which was obviously of great importance to the Stoics? The word ‘philosophy’ means ‘love of wisdom.’ Plato’s Socrates argues in the Symposium that we love what we want but don’t have. So, a philosopher is not a person who is wise, but rather a person who lacks wisdom but loves and seeks it. The average college freshman doesn’t think much about wisdom. But wisdom is central to philosophizing. Philosophers wonder what wisdom is, how wisdom is gained, which people are wise, and how wisdom improves one’s life. Is wisdom necessary for happiness? All the ancient philosophers, including Plato, Aristotle, Epicurus, and the Stoics, believed that wisdom is vital to happiness. Is it wise to pursue pleasure, wealth, fame, and political power? Is it wise to fear death? These are absolutely urgent questions. How we answer them to a large extent will determine how we choose to live our lives. I believe that the Stoics have thought very carefully about these questions and offer very wise answers to them. You’ve written Marcus Aurelius: A Guide for the Perplexed. Is he your favorite Stoic? What impresses you the most about him? Marcus is marvelous, but I can’t say that he is my favorite Stoic. Epictetus was my best buddy for years before I really came to fully appreciate Marcus. In his personal journal that he wrote only for himself, Marcus rehearses Stoic ideas and mental exercises in order to keep his head on straight. What most impresses me about Marcus is that he has no patience for nonsense, no time for self-deception. He is the most sober, serious, cut-to-the-chase kind of thinker. And despite his excellent childhood and teenage education in philosophy, and his fervent commitment to Stoicism, Marcus realized that one big reason human beings suffer disappointment, lapse into procrastination, get impatient and angry with others, and are plagued by anxiety, worries, and fear, is that we so often FORGET what we know. As a Stoic, Marcus knows that death is inevitable and no one knows for certain when he will die. So, our mortality cannot be bargained with. So, this means that each of us has very limited time to achieve our goals. So, Marcus tells himself, remember to stop delaying making progress toward your goals. Get to it! The paramount goal Marcus has is to rid himself of stupidity, vanity, and illusion. He wants to become a good person and see things for what they truly are every day. Toward this end, he rejects fame as utterly empty. He calls applause mere noise. As emperor of Rome, he must remember his Stoic education and keep himself calm, sensible, and true to his own moral integrity in the face of sycophants, critics, and opponents. What impresses me most about Marcus is his laser focus on the fundamental Stoic insight that wisdom, truth, righteousness, lawfulness, justice, generosity, kindness, and love are the only valuable things in the world. Compared to the virtues, all material baubles, fame, being remembered by posterity, prestige, luxurious clothing and possessions, and the pleasures of the body all amount to mere junk. Marcus kept his priorities straight, despite being surrounded by endless opportunities to become corrupt. Do you have a daily Stoic routine? Have you incorporated any of the Stoic spiritual exercises into your day-to-day life? The book Star Wars and Philosophy: More Powerful than You Can Possibly Imagine features an essay from you about Stoicism and the movie franchise. We’d love to hear what parallels have you seen between some of the movie characters and the philosophy? The Jedi philosophy is very, very Stoic in nature. Specifically, Yoda, the Jedi master, is a sage, a wise person. He says that fear leads to anger, anger leads to hate, and hate leads to suffering. That is straight up Stoicism. Yoda tries to teach the young Luke Skywalker to control his fear, calm his mind, focus on where he is and what he is doing, even when it is the right time to eat. All these are Stoic lessons, to be sure. The Sith believe that anger makes them powerful, and mastery of others leads to happiness. The Jedi, like the Stoics, believe that self-mastery and self-improvement lead to virtue and happiness. Some of the ancient Stoics believed in divination, and sometimes some Jedis claim to have visions of the future. Jedis sometimes control the minds of others who are “weak-minded,” but Stoics don’t believe that playing mind tricks on others is possible. For the most part the mystical side of the Jedi philosophy dramatically departs from Stoic physics. Stoics don’t believe that telekinesis is possible, whereas Jedis can move physical objects with their minds. Stoics are physicalists. Stoics believe that human bodies and human souls/minds are different kinds of physical things. But Jedis are soul/mind-body dualists. When the bodies of Jedis are destroyed, their souls continue to exist as visible, luminous, non-physical entities. Stoics are far too committed to naturalism to accept Jedi supernaturalism. Stoics believe that all human beings are mortal. In the Star Wars universe, however, the souls of Jedi masters are immortal. What are you currently working on? Any exciting projects that you’d like to share? I have a number of ongoing projects. I’m teaching an undergraduate Greek and chemistry major at Creighton University how to read philosophical Greek by composing a new translation of Epictetus’ Handbook. This translation will accompany a commentary on Epictetus’ Handbook that I’m co-authoring with Scott Aikin of Vanderbilt University to be published by Bloomsbury in a couple of years. Second, I’m slowly improving a paper I presented at a conference in Aix, France in mid-June. “Refugees, Exiles, and Stoic Cosmopolitanism” will be published by the Journal of Religion and Society in the next year, but my hope is to publish a tighter version of it elsewhere. I argue that Stoics believe that being an exile or refugee is no obstacle to virtue so it is indifferent to our happiness, but how we treat refugees and exiles is far from indifferent. Stoic cosmopolitanism dictates that we provide refuge to all who need it since all human beings are our fellow cosmic citizens. Third, I presented a paper titled “Terrorism, Phobias, and Stoic Therapies for Arresting Fear” at the Instytut Filozofii, Uniwersytet Warszawski (the University of Warsaw, Poland). I need to develop this paper and find a home for it. Finally, I will also give a plenary session talk at Stoicon, in Toronto, Canada, October 14, 2017. Some of my papers are available at https://creighton.academia.edu/WilliamStephens.